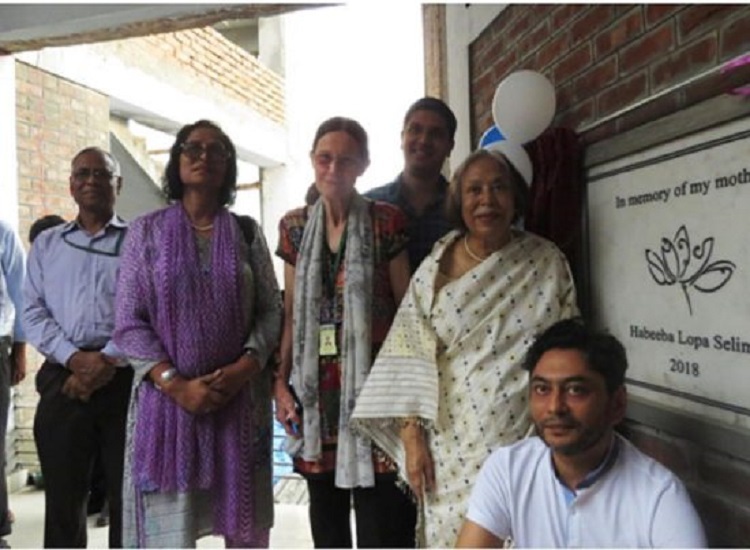 Inauguration of the adult and geriatric patient's accommodation at CRP. On 5th May, 2018 an opening ceremony of the extended floor in the Rotary building was held in its 4th floor at CRP. Mrs.HabibaLopaSelim who donated her lifelong savings to CRP was also present in the ceremony along with her family members. This floor will be used as accommodation for adults and geriatric patients at CRP. It is named as “Sohanuvuti” (Sympathy)and dedicated in memory of Mrs. Lopa’s mother. After greeting and entertaining the guests with the performances by special needs children from William and Marie Taylor School all attendees went to the new floor and participated in aprayer. Mrs. Lopa was very happy to see her plans well executed.